I have been craving beignets lately. Warm, light, fluffy goodness and a cup of coffee. 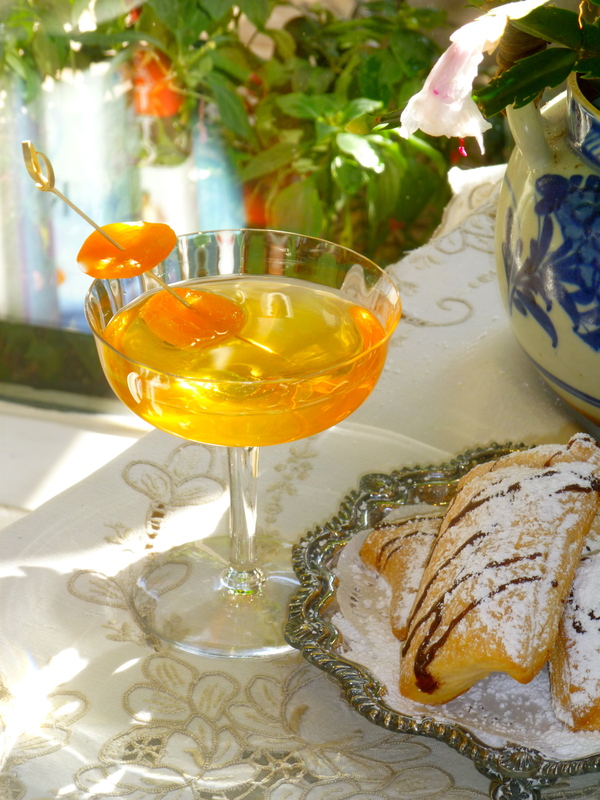 To celebrate the San Francisco Giants win I made brandied, apricot beignets with chocolate dipping sauce. The color seemed to fit, and they were incredible. This cocktail was inspired by my beignets. It’s has the same rich yet delicate, satisfying taste minus the powdered sugar that seemed to snow all over my kitchen. Combine all ingredients in a beaker with ice. Stir well. Fine strain into a chilled martini glass. Garnish with dried apricots.